Easily create your own water fountain in your pond or pool during the day with this floating water fountain lily. 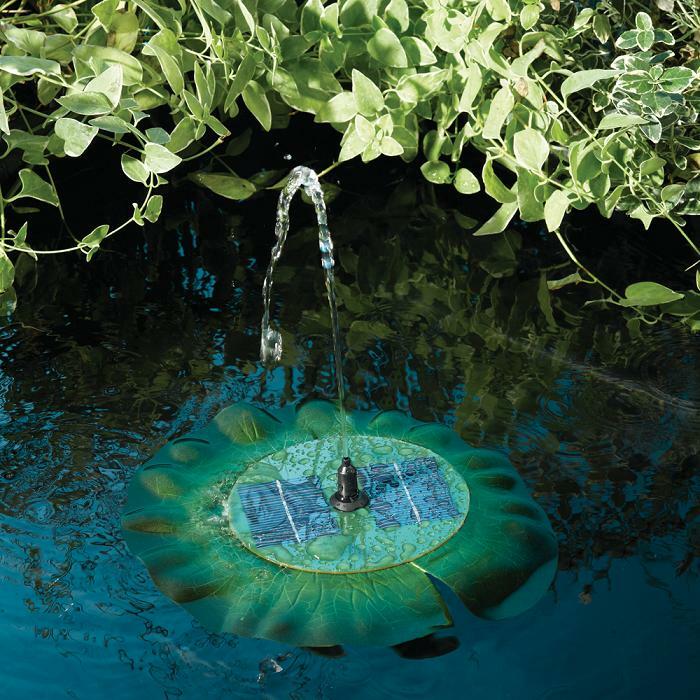 This Lily Floating Solar Fountain will jet a stream of water up to 17 inches high when in full sunlight. Create 3 different water streams with the include 3 fountain heads. This lily water fountain operates in direct sunlight only, this self-contained solar fountain features an integral low voltage pump, filter, and thin solar energy panel. 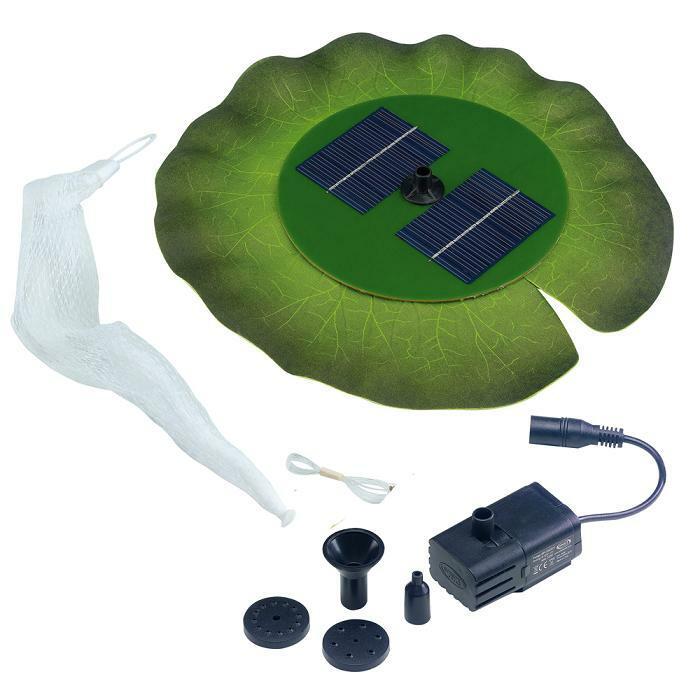 This solar floating fountain is also designed to help oxygenate your pond to eliminate foul odors and will help discolored water conditions, as well as keep water moving to keep mosquitoes to a minimum. 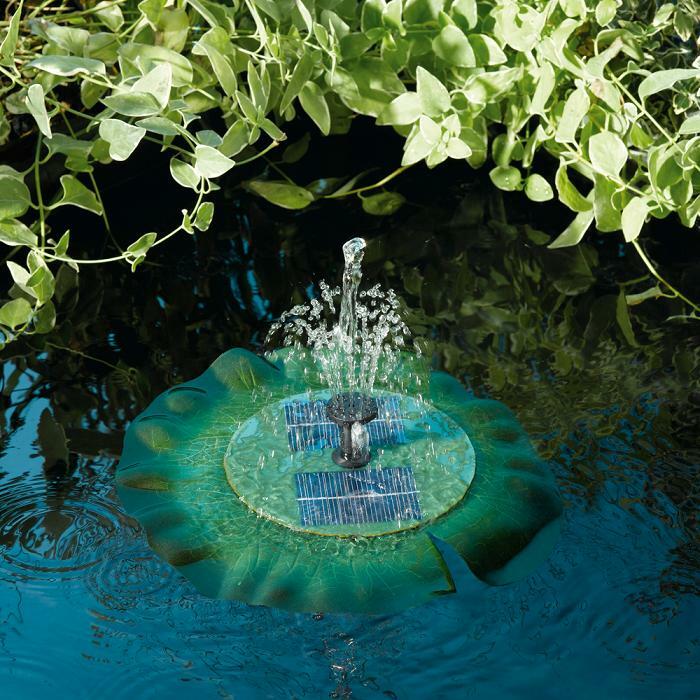 This solar fountain moves around your pond and is so easy to use. There are no operating costs and no wiring. Simply set afloat and enjoy! Great for ponds or pools.